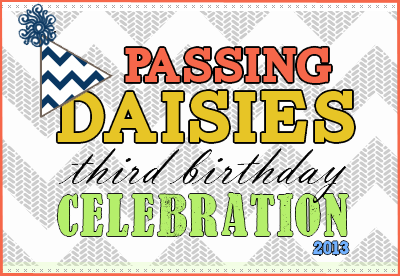 WELCOME TO OUR THIRD BIRTHDAY PARTY! Man, you guys are in for a special treat today! Since we are the host, I've decided to make the most important part of a birthday celebration... the birthday cake! Today you'll learn how to make a moist, delicious, Key Lime Cranberry Cake. I love this cake for multiple reasons. First, I am obsessed with anything key lime. Second, I like fruity flavored things. Third, the cranberries in this leave a beautiful pop of color when they burst in the oven - it's like pretty pink paint splotches all over your cake! I really wanted to decorate the cake with a tribal "flare" to it, since our new site design is tribal themed. So, I colored some fondant, cut it into triangles and arrows, and did what I could to pull it off. What do you think? Was it a success? And see the mini paper flag banner that I taught you how to make last week? I told you better pictures were coming! 1. In a standing mixer, combine all wet ingredients and mix until combined. In a separate bowl, mix all dry ingredients. 2. Add dry ingredients to the wet slowly until combined. 3. Add cranberries and mix until covered in batter. 4. Pour batter into two greased 8 inch cake pans and bake in a 350 degree oven for 25-30 minutes, until a toothpick inserted in the middle of the cake comes out clean. Allow to cool. 5. Slice each cake in half - we will need four layers of cake! For the frosting, I would recommend using THIS one. I based both my cake and icing recipe on this, but I attempted a key lime cranberry icing, and I wish I have just stuck with key lime! Good nonetheless, but I would definitely use her icing recipe. The key lime juice makes a HUGE difference in flavor and, I've discovered, works a lot better than lime zest. To assemble, place one of the four cake layers on your cake stand, or whatever you will be serving the cake on. Spread a thick layer of icing on top. Repeat this process until all four cake layers have icing in the middle. Then, spread the remainder of your icing smoothly on the top and sides of the cake, until the cake is completely covered. Decorate however you desire. And that's it! Yummy cake for you. I think this recipe would also make really pretty cupcakes! Thanks to all the blogs who joined me in the birthday celebration - and I hope YOU enjoy all their fabulous recipes! What cake do YOU like to eat on your birthday!? Rachel - Happy 3rd birthday!! Love the cake and love being a part of your virtual party. Thanks so much for hosting!